The Mask That Makes Your Skin Glow. Firstly, my apologies for not uploading a post yesterday as usual. It just didn’t feel right to post anything after the events of Monday night in Manchester. My thoughts and prayers go out to all that were affected. I cannot begin to imagine what parents, friends and family are going through right now. May we always stand united and strong, both as a nation and as part of humanity, and support each other throughout this difficult time. Over the past few weeks, I’ve been really enjoying trying some new skincare, especially as I’m all about glowing summer skin. 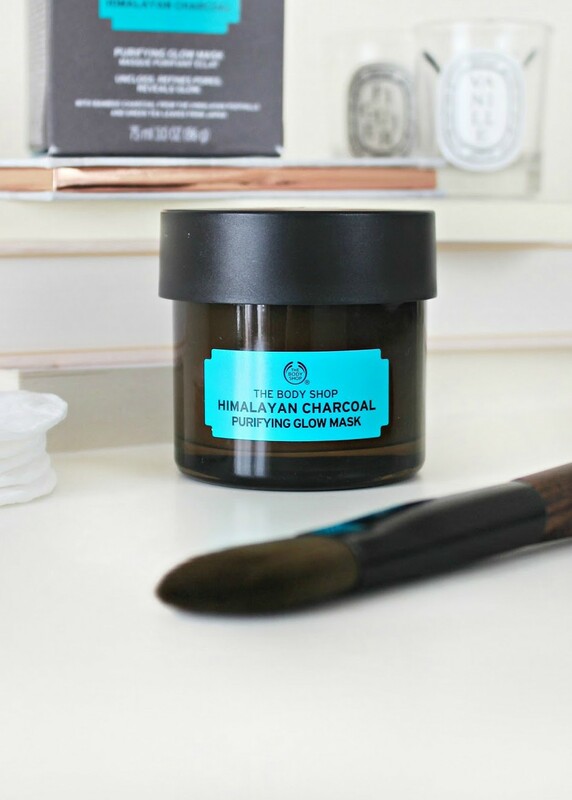 Face masks have always been a weekend pamper treat for me, and this week I was lucky enough to try The Body Shop Himalayan Charcoal Purifying Glow Mask* as part of my Sunday night skincare routine. You might remember how much I love The Body Shop Superfood Masks, particularly the Rose Hydrating Mask that I tried last October. 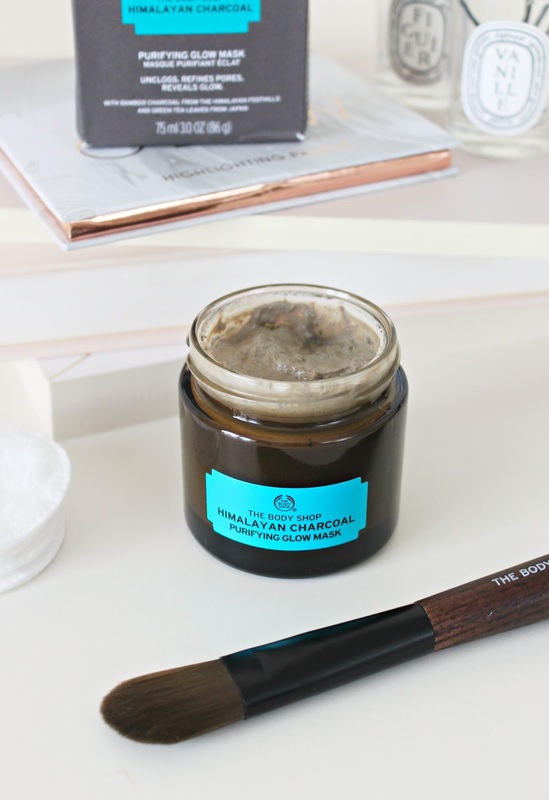 I still use that when my skin is super thirsty, but this new mask promises to cleanse, purify and boost your natural glow – all really lovely things that I definitely want for my skin! The texture is slightly grainy, and grey in colour. It smells like a spa, really relaxing and easy to apply – especially with The Body Shop Facial Mask Brush*. The mask works to refine skin texture and absorb excess oil, leaving pores purified and improving the overall glow to your complexion. One thing I really love about these masks is that it’s incredibly quick to use and see results. I apply one layer on my face with the brush, leave it on for about fifteen minutes, and then wash off. It has a slight tingling feeling as it works its magic, but nothing uncomfortable. The scent is beautiful and not heavy either, it feels very natural and lovely to use. Most of the masks in the range are vegan as well, and this one is no exception! The Body Shop Superfood Face Masks are really great if you’re looking for some new affordable skincare treats. They feel very luxurious, and there are several to choose from depending on what your skin needs. The only thing I would suggest is that you use a foundation brush or the matching facial brush to apply the masks rather than your fingers. This is because the product comes in a jar rather than a tube, and although this looks lovely, it’s better to use the product with a clean brush each time to avoid contaminating the amount remaining in the jar. Have you tried anything from The Body Shop Superfood Face Mask range? Previous Post The Tanya Burr Cosmetics Neutral Ambiance Collection. Next Post My Summer Homeware Wishlist.